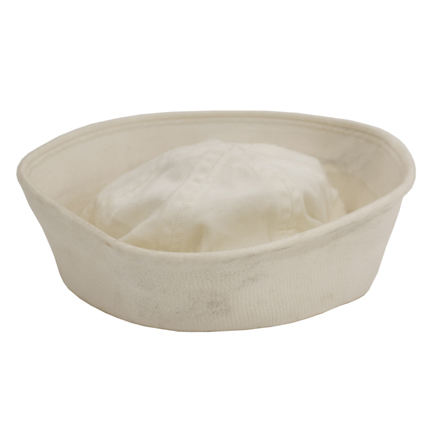 This U.S. Navy uniform was worn onscreen by the character Dorie Miller portrayed by Cuba Gooding Jr. in the 2001 Jerry Bruckheimer production “Pearl Harbor”. 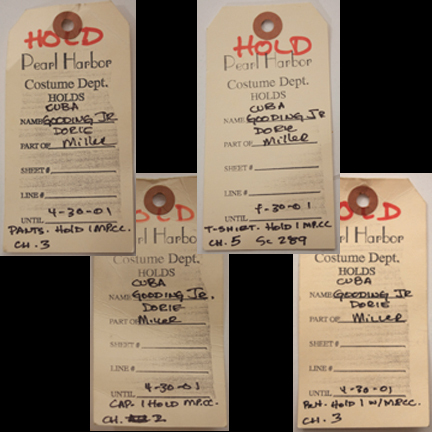 Mr. Gooding wore the costume wardrobe in several scenes preceding the pivotal attack on Pearl Harbor where Dorie distinguishes himself by courageous action against the Japanese bombers before his ship is eventually sunk by repeated bombings. 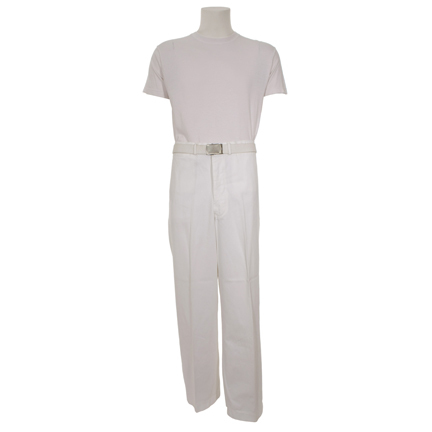 The outfit consists of a white t-shirt, matching white pants with white nylon web belt with metal buckle, and white sailor’s cap. 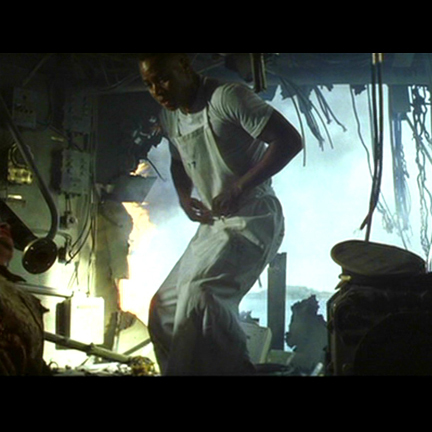 The interior of the cap has costume rental company markings inside and all three garments are complete with the original production tags attached with actor name “Cuba Gooding Jr.”, character name “Dorie Miller”, and additional production information clearly written. Accompanied by a letter of authenticity. 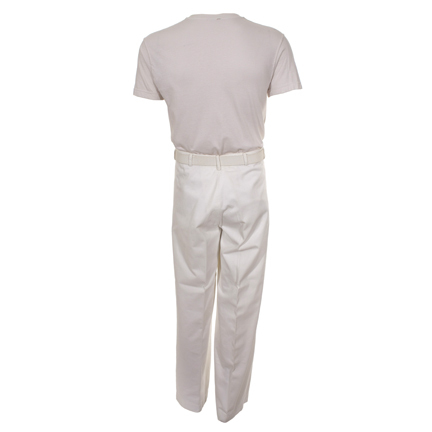 Presented by The Golden Closet, your premier source for collectible screen used wardrobe, props, and music entertainment memorabilia.